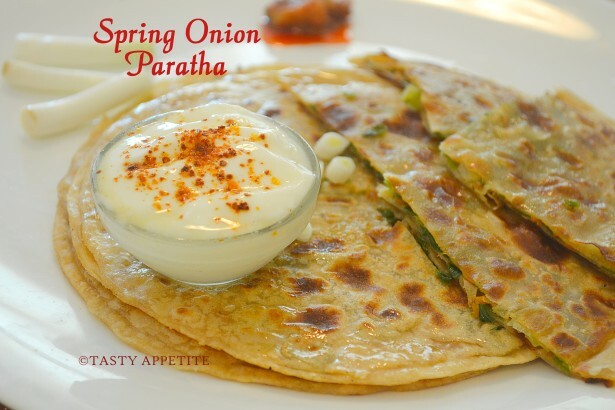 Spring Onion Paratha: Tired of having plain parathas and subzis, try this Spring Onion Paratha, a best way to gain strength & energy for busy mornings. It makes a nourishing and tummy filling breakfast or lunch box recipe. It has now become a favorite in our family as it goes yum with..a drizzle of ghee or butter. 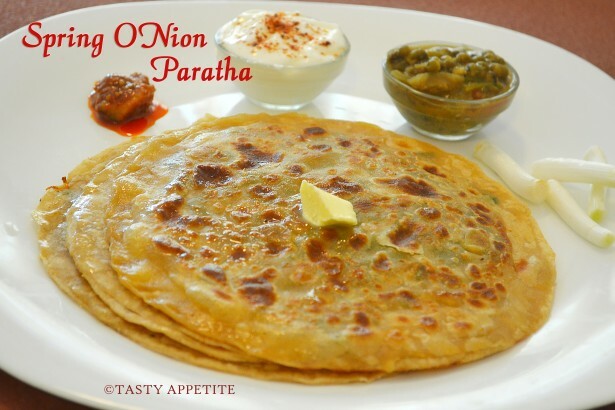 You might also like to check my other paratha recipes here. 1. Add wheat flour to a mixing bowl. 2. Add salt and sprinkle enough water. 3. Knead to smooth soft dough. 4. Keep it covered with a damp cloth for 10 mins. 5. Wash and chop spring onions to fine pieces. 6. Grate carrot to shreds. 7. Add chopped spring onions and grated carrots to a bowl. 8. Add salt, lemon juice, roasted cumin pwd, chat masala pwd, red chilly flakes, chopped green chilly and pepper pwd. 10. Now make small balls out of the dough. 11. Take one ball, dust it with wheat flour. 12. Roll it to flat discs. 13. 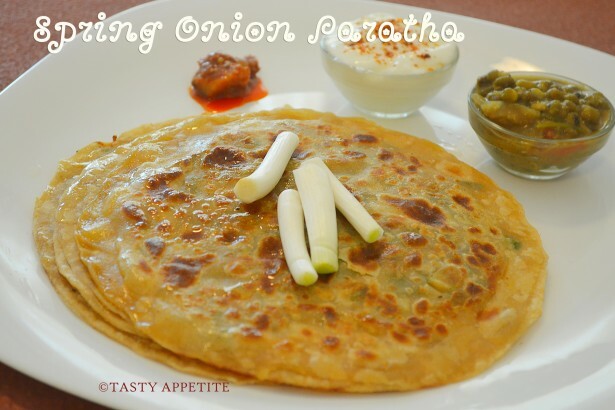 Take a spoonful of spring onions mixture and spread over the roti. 14. 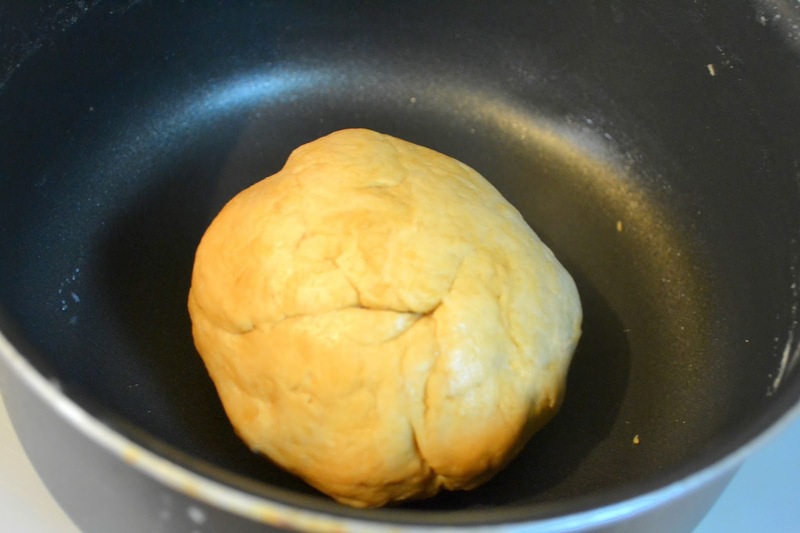 Now cover it with another roti and seal the edges thoroughly. 16. Drizzle oil or butter to it. 17. Once the girdle is hot, place the paratha carefully. 18. Allow to cook on both sides by drizzling oil/ butter to the sides. 19. Once the paratha is golden on both sides, remove from heat. 20. Repeat the same for all the dough. 21. Healthy Spring Onions Paratha is ready. 22. 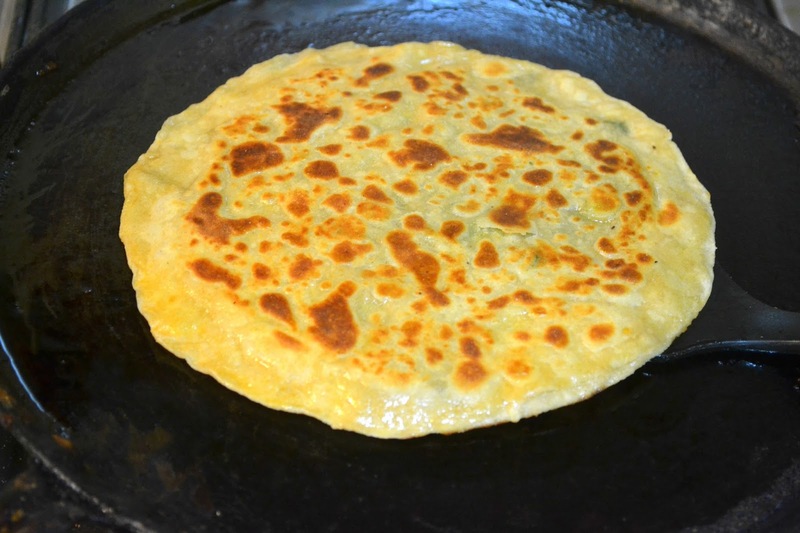 Serve hot stuffed parathas, straight off the tava with a dollop of butter. 23. It tasted yum with yoghurt, pickle and spicy peas masala. 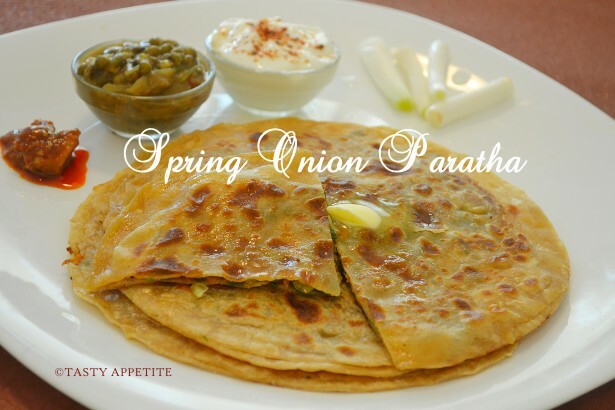 delicious mouth watering spring onion parathas Jay. Looks too tempting!! We never go failure in the stalking up procedure!! super healthy roti i ll try.